Body Worn Video Cameras (BWV) are miniature cameras with microphones that can be used to record video and audio evidence of events encountered by wearers. When worn overtly, BWV acts as a deterrent to criminal conduct because knowing they are being recorded on video (and the associated increased prospects of being identified, prosecuted and convicted) makes it less likely that parties to a situation will behave illegally. This includes those wearing the BWV. The availability of video evidence of an incident increases transparency of the processes carried out and greatly reduces the scope for false allegations and malicious complaints. It can also speed up complaint investigation and resolution and, in addition, result in guilty pleas being entered earlier in proceedings and stronger sentences too. BWV technology has proved very attractive to UK Police. In 2006, Devon and Cornwall Police became the first UK police force to introduce BWV. By 2010, 32 UK Police Forces (71%) were using BWV. Now, almost every officer in the UK has access to BWV for their front-line duty. 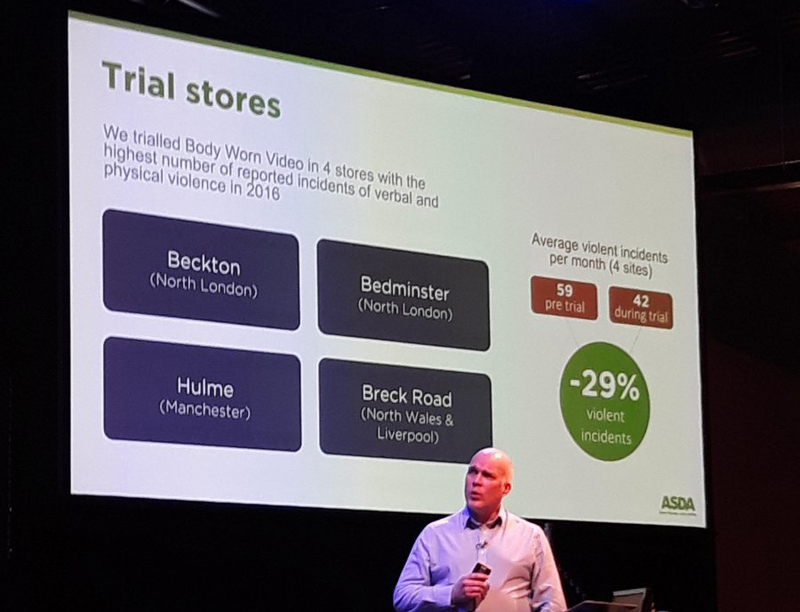 In March 2018, ASDA announced that a trial of BWV at four of its stores had resulted in a 29% reduction in violent incidents! The Centre for Applied Science and Technology (CAST) is the primary science and technology interface between Home Office ministers and policy makers, front-line delivery partners and the suppliers of science and technology. Technical Guidance highlighting the key issues to be considered by all those interested in purchasing and deploying BWV ( 4/11/2016). Guidance on Safeguarding Body Worn Video data (6/02/2017). Downloadable BWV icon images that indicate the presence of BWV devices (22/06/2017). Reveal Media (suppliers of BWV to more than 19 UK Police forces) have published useful Guidance for the non-Police use of overt body worn video devices. The Body Worn Video Steering Group facilitates networking and learning to help organisations maximise the benefits of body worn video by sharing information, ideas and best practices. A British Standard that provides technical and operational recommendations on the use of BWV was published June 2017.